In order to dispossess all the encroachers from the Shamlat Land, the Punjab Government has launched a massive drive. All the Deputy Commissioners have been directed to hold monthly meetings to scrap all such under the carpet deals and dispose off all such pending cases of land encroachment. The officers of the Rural Development and Panchayats Department would assist the DCs to free the government land from the grab of miscreants. 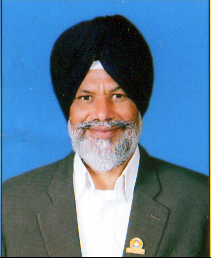 Disclosing this here today Mr. Surjit Singh Rakhra, Rural Development and Panchayat Minster said that Financial Commissioner Revenue has written a letter to all the Deputy Commissioner to hold meeting every month to deal with the cases of Shamlat Land encroachment. He said that District Welfare and Panchayat Officer, District Revenue Officer, Tehsildar and Block Welfare and Panchayat officer would also attend these meetings. DCs have also been instructed to implement the land possession warrant in the stipulated time frame so as to pest the encroachers from the illegal possession of common land. They have been asked to ensure the disposal of all such cases filed under section 7 within 3 months and cases under section 6 & 11 within 6 months. He said that Deputy Commissioners would have to submit the proceedings of all such meetings to the Financial Commissioner Revenue, Financial commissioner Rural Development and Panchayats and Director Rural Development and Panchayats.Mr. Rakhra further said that as demanded by the Pachayats, Tehsildar would have to do the demarcation of the Shamlat Land within 30 days. “There is substantial increase in the income of the Pachayats as the auction process of the Shamlat Land has been made online.”said Mr. Rakhra. He said that the auction process has also been video graphed and the department earned 237 crore from this exercise in the current year which is 16 crore more than the last year. Last year Rs.221 crore was earned from the auction of Shamlat Land.